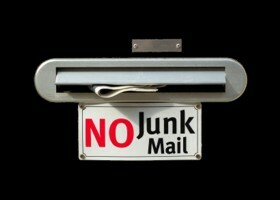 Choice Mail : Anti spam software, junk mail blocker - spam filter. Remove spam for good with our email firewall. XP and Vista spam filter. Look like this when you open your email? ChoiceMail users report that they eliminate spam and save 15 min. a day. Get a complete spam protection that will not block wantedmessages. This is the perfect business solution for a small or large organization whether it hosts its own server or have it hosted by a third party. ChoiceMail gives individual users the tools to manage their own email accounts simply and easily. Yet it also lets you apply group and global settings to establish and maintain company-wide email policies. You get 100% spam-free email, seamlessly integrated to meet the needs of each user and the organization as a whole. It's an email gateway that works with any mail server, including Exchange, Domino, GroupWise, Imail, SendMail, etc. or with a hosted POP3 Server. ChoiceMail 2014.x is windows 10 compatible. A spam filter has to make sure you get 100% of the email you want and block 100% of the email you don't want, or it hasn't solved your problem. No spam filter can do that. Spam filters try to guess which email you want and don't want. They are one-size-fits-all programs, and they have one thing in common - they don't work very well. Spammers always find ways to beat them, so you still get spam in your inbox. And they delete legitimate mail, so you have to hunt through deleted email to make sure you didn't lose anything important. Interested in reselling ChoiceMail? We offer great reseller terms. Contact us today to find out more! It's a permission based spam blocker that customizes itself to you. Permission-based means ChoiceMail assumes email is spam unless it knows otherwise. Only approved email gets into your inbox. ChoiceMail automatically approves email from people you know and trust. It lets you create simple rules to approve email that is important to you. And it lets you automatically query unknown senders to find out who they are and what they want before their email gets into your inbox. Then you get to decide if this is someone you want to hear from. Legitimate senders respond to this query, but spammers never do. ChoiceMail Desktop is one of the best anti spam software products for Windows 10, Windows 8, Windows 7 (32 and 64 bit), Windows VISTA, Windows XP or Windows 2000. Our business products work with any email server (Microsoft Exchange, Novell GroupWise, Lotus Domino, Ipswitch IMail or any other) and can be installed on the same or on a separate machine from your mail server.